The holiday food adventures continues! 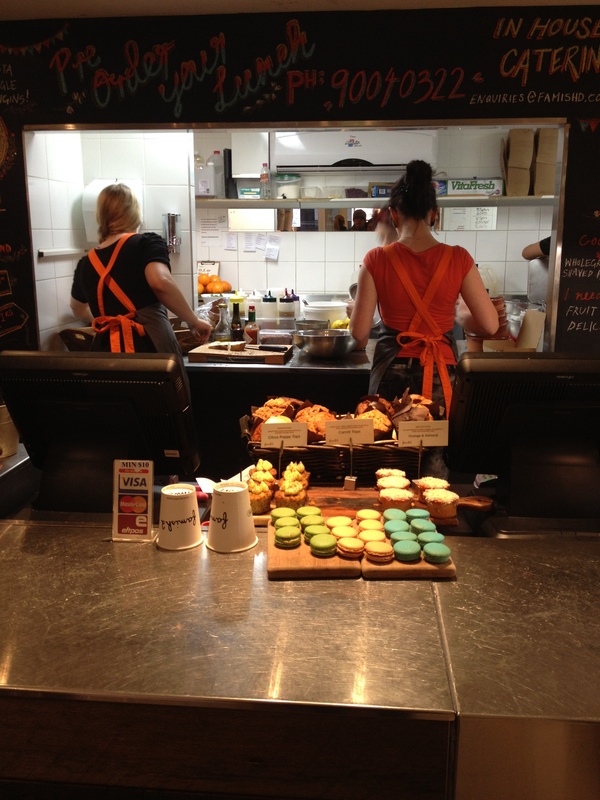 The Mr brought me here after our wonderful lunch at MissChu for some digestive – coffee and cakes. Just what we needed to complete our lunch. There is ALWAYS space for dessert, or some kind of sweet, regardless of how full you are. haha Trust me! Love the decor of the place. You feel a kind of comfort I can’t really describe. Everyone is so friendly there and the Mr said that they actually address you by your name when you’re a regular. 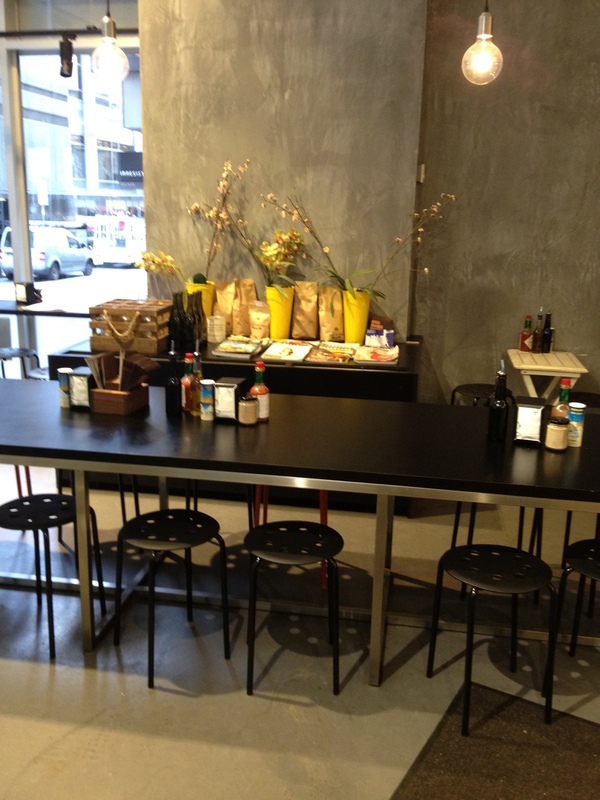 Adds a personal touch to your visits here and definitely allows you to be more comfortable while dining there. How fabulous is that? To me, great service is everything! 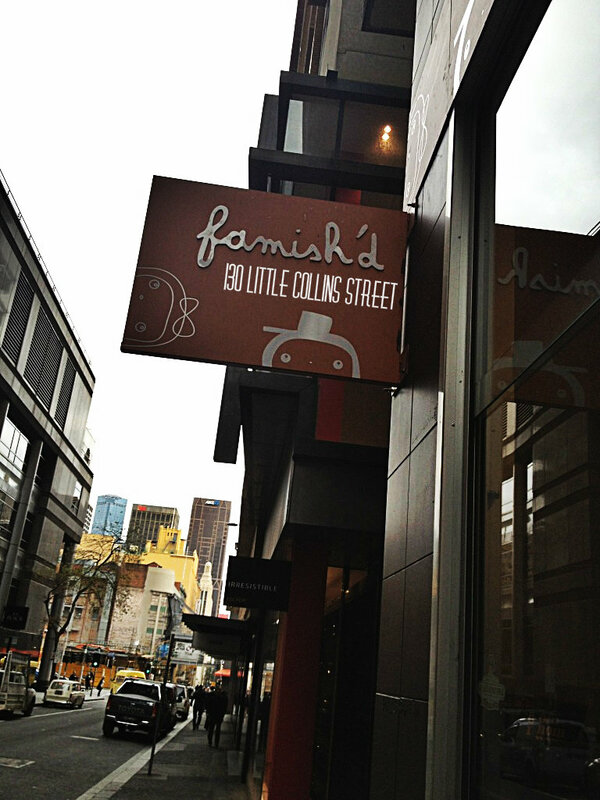 Famish’d is actually known for their salads. It’s almost the same concept as Salad Stop in Singapore, where you can actually design your own salads, and pick your combination from a whole huge range of different ingredients. Or pick from daily salad special which are the hot favourites! How exciting is that? And now that it’s winter, they offer a soup special daily with freshly baked bread! YUMS! I am definitely returning back on an empty stomach to try their salads and soup! 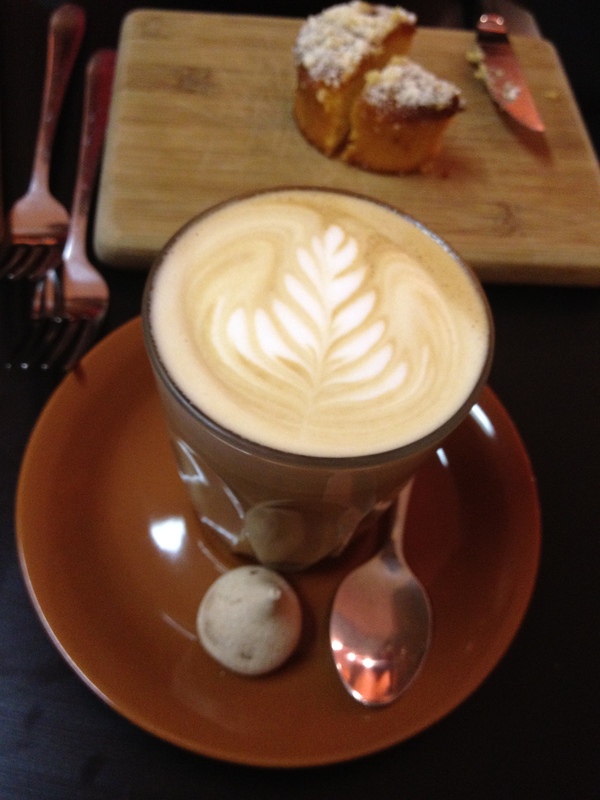 But for this visit, I was there for some sweets and a good cuppa coffee using St Ali coffee beans. 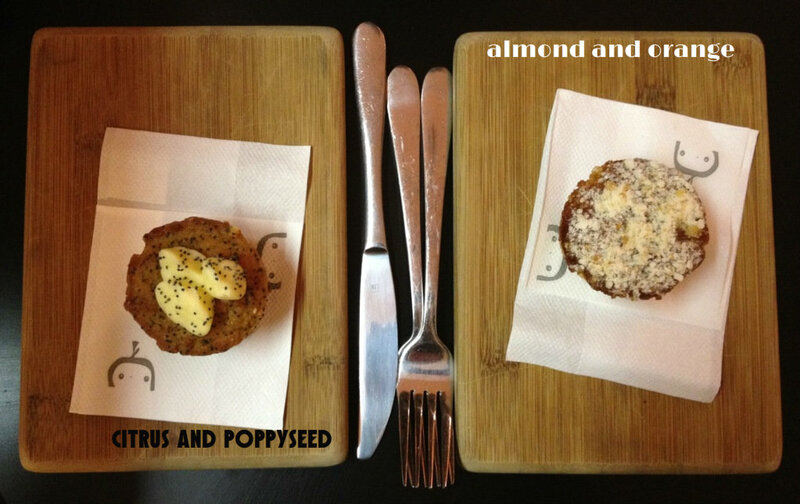 When I saw what they have to offer, I just instantly picked these two cakes : citrus & poppyseed and orange & almond ! The cakes had a burst of flavour the second it touches your tongue and they were so moist. It’s a slightly denser cake, but I actually like dense cakes. haha Feel like they have more bite to it! We both had lattes. Just that the mr ordered their large. 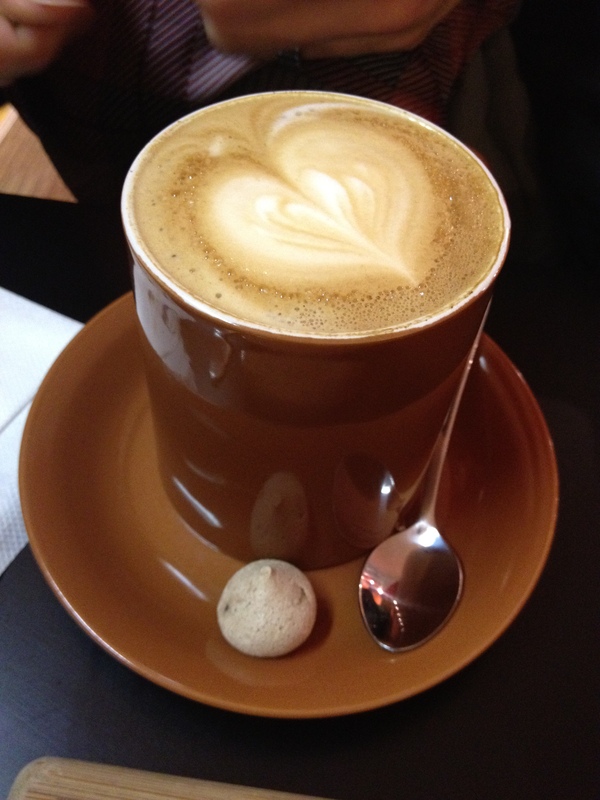 And their hot drinks all came with a meringue that will filled with a surprise. It’s filled with chocolate chips! I have no idea how they make it, cause you don’t see the chocolate chips till you bite into it! I do apologise that I didn’t get a shot of the chocolate chips in the meringue. I got too excited and it was too delicious, I finished it in 2 quick bites. haha I guess I just have to head back to have it again! I can’t wait to head back to try the food they have to offer. I have a good feeling they will be yummy! (: So if you work in the city and want a healthy and hearty lunch or even just a cuppa and something sweet, why not drop by and satisfy that hunger! hehe yes! you should! 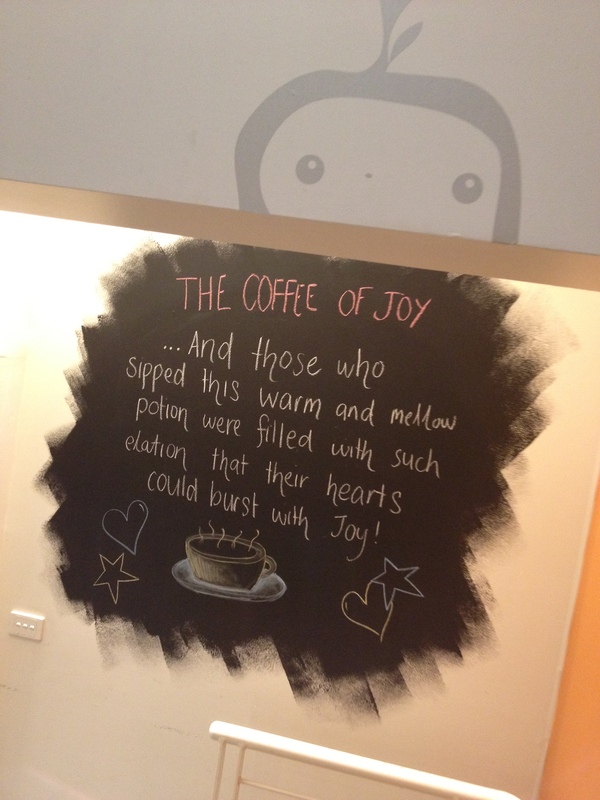 hehe (: just to have their coffee with the meringue! it’s super good!